Have a staycation with your fur kid, or host dog parties or gatherings at the dog friendly Sea View Bungalows. 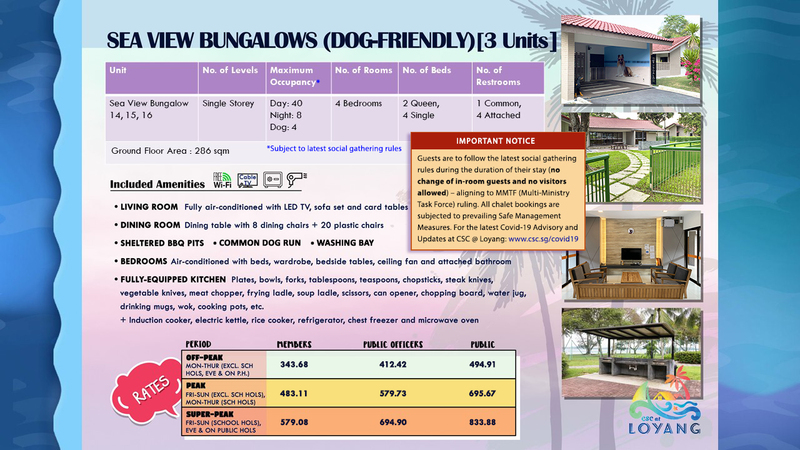 The bungalows are thoughtfully equipped with a common dog run, washing point, and direct access to the beach. 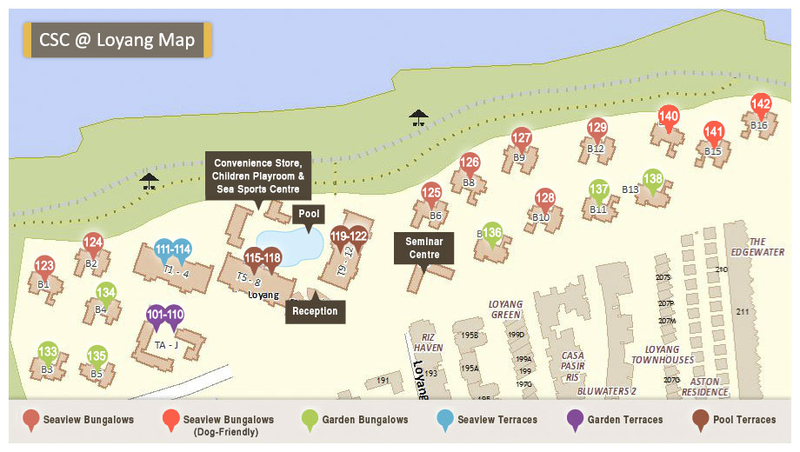 There are 3 dog friendly Sea View Bungalows, labelled as Sea View Bungalows (Dog Friendly) 14, 15 and 16. Each unit has 4 bedrooms with attached bathrooms, living room, dining area, fully-equipped kitchen and sheltered BBQ pits.